Schleich Paddock with Entry Gate 42434 - Toys & Learning - Schleich Specialists - 100% - Fast Service - Sale Prices. This paddock from Schleich is brilliant for childrens discovery play - we just love all the items in the Schleich horses range which give children so much pleasure. 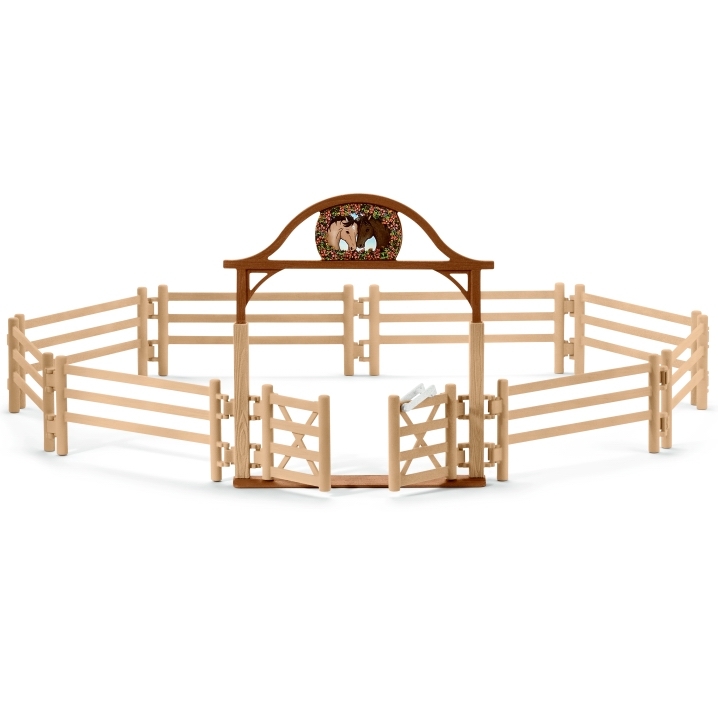 This Schleich Paddock with Entry Gate is one of the top quality hand finished products from the Schleich range of horses & accessories. This is a lovely accessory to go with any Schleich horses! I love the horses on the archway of the gate, it looks beautiful!